How does an Administrator view and export the Roll Call reports? When Staff Carers (i.e., teachers, club coaches, team managers, supervisors, etc.) submitted a roll call report, the administrators can generate all these reports on his end. This can be done through a group or an eForm. Please note that you will only see a roll call report if a roll call has been created for that group or eForm. To see how to mark a roll call, click here. Here are the steps in viewing the Roll Call reports and and exporting your the information into an Excel file. The steps below are for Groups, but the same steps can be done for eForms. 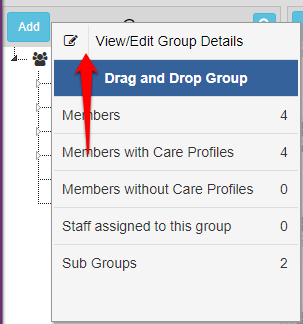 1.Hover your mouse over the group icon and click the menu icon. Choose View/Edit Group Details. For eForms, Click on the three horizontal lines icon. 2. Click Roll Call Reports. 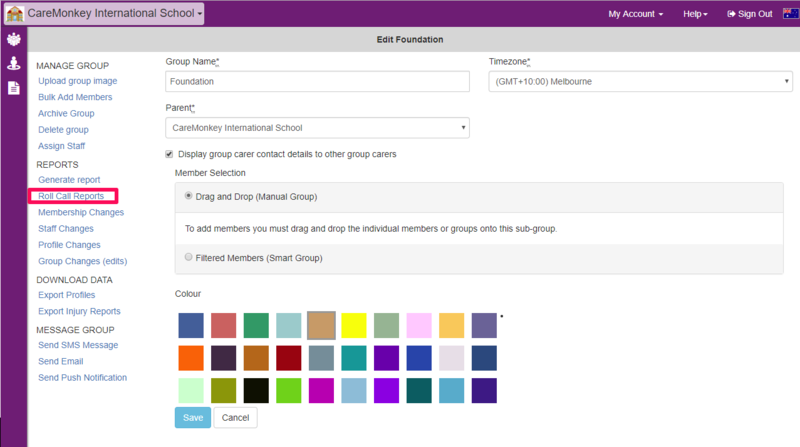 NOTE: Roll call reports successfully saved by Staff Carers are immediately made available for the administrators to view.